The 36" Demilune Wood Single Bathroom Vanity features a rich, textured finish with silver details to give it a timeless style. The black granite top and backsplash complement the handsome cabinet finish. 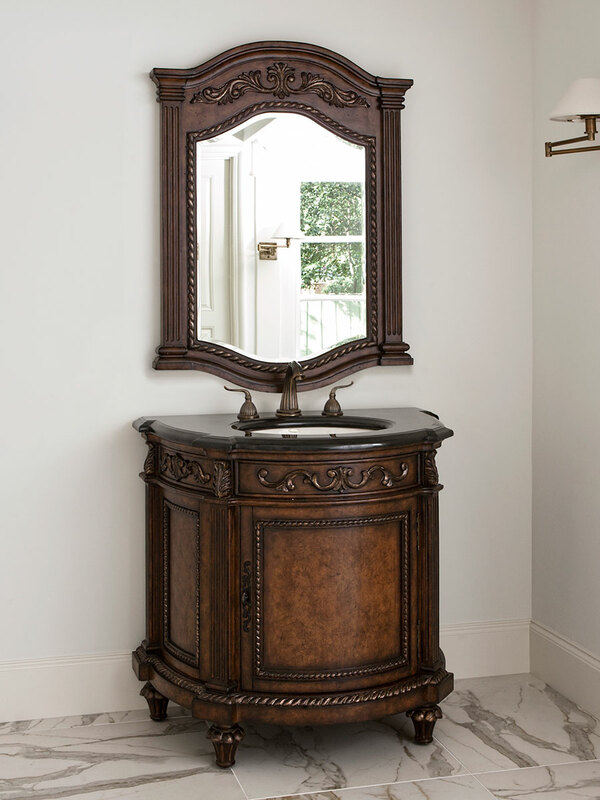 Carved details on the face, columns, and door give this vanity its ornate style. This single bathroom is the perfect addition to any home or business looking for a sophisticated bathroom design. Comes installed with a Balsa porcelain sink.